The modern Woman is under a huge amount of stress to become an archetype of “Superwoman” and very often has to be Partner, lover, friend, businesswoman, mother and daughter and is expected to jump dynamically inbetween all of these roles in her life. Societyplaces huge expectations and demands. You can be all of these things if you want but it just requires good self-managment and insights and good self awareness. This article is not about the rights and wrongs of our cultural beliefs just simply to say what stress is and that there alot that can be done through good oaching to allow you to live your life to the full. 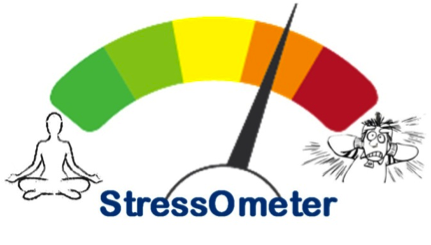 Stress is a naturally arising physiological state that can be detrimental to an individual’s work and home life and ultimately wellbeing, if left unchecked. Humans did not evolve to be in a state of permanent stress as nature only intended it to be short lived. It’s there to get you to take action. In simple terms to move away from something or towards (the carrot and stick). It is a message from the mid brain and is primative in its function – it wants to keep you say or enjoy a reward. Unfortunately for the human psyche modern day living is a challenge for it to maintain balance. However, here’s the good news a lot can be done to alleviate stress and with sound guidance, mind management tools, people can enjoy better emotional regulation and are more able to cope. The efffects are both phsycial and psychologoical. When people are stressed they function less well – your memory and thinking can be chaotic. Initially stress can make you feel energised, however in the long term people phsyically find themselves unmotivated and drained. Some individuals are even totally oblivious to the changes and it’s the people around them that notice! Ultimately good stress management gives you the behaviours you desire which allow you to live how you want to be. Stress is one of the prominent factors that hinders the success and growth of an individual, making it harder to sustain the acquired success. It either impedes individual’s from achieving their set objectives, in their personal and professional life, or slows down their progress towards attaining their goals.Stress can greatly reduce productivity and progress, leading to negativity that may surround an individuals thoughts and mind. Going through stress, you might feel too pressured to react positively to changes in your personal and professional lives, perform efficiently at your work place and might witness a deficiency in your leadership skills. Not only is stress effective in adversely affecting your performance and productivity, but it also has the potential to lead to various health problems. Stress can lead to the modifications in behaviours and attitudes that reduces motivations and determination and lead to destructive patterns that can have serious consequences. Stress may also lead to problems in relationships, apart from causing problems in an individual’s professional life and creating health problems. In my experience people can learn stress reduction techniques that rejuvenate and increase an individuals productivity and performance and ensure success, increasing the possibility of them reaching their goals and objectives.